Beautiful collection. So sorry to hear about Red. For what it is worth, if he was undersized and skinny as the vet stated, I think there was likely an underlying problem long before he went home with you. 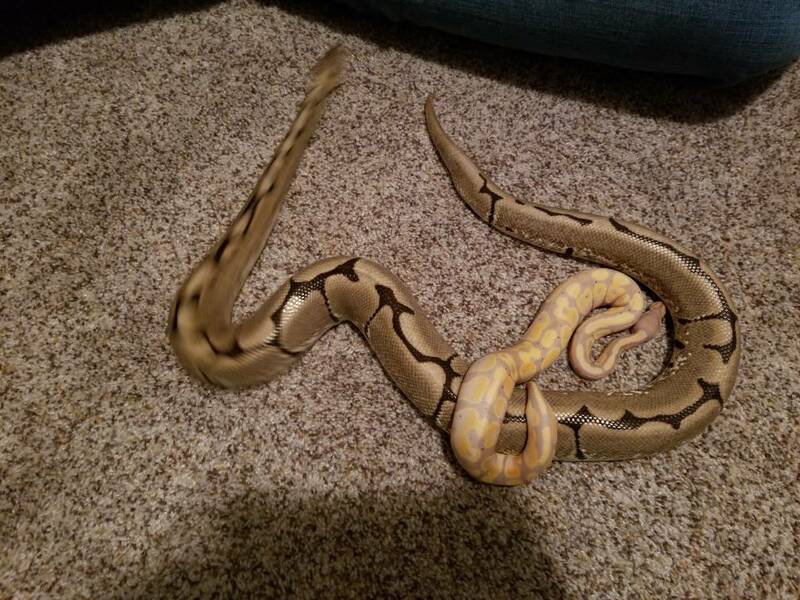 But I've got more to come (including more ball pythons! I swear there's more than just the one). That’s always the case, they’re like potato chips. 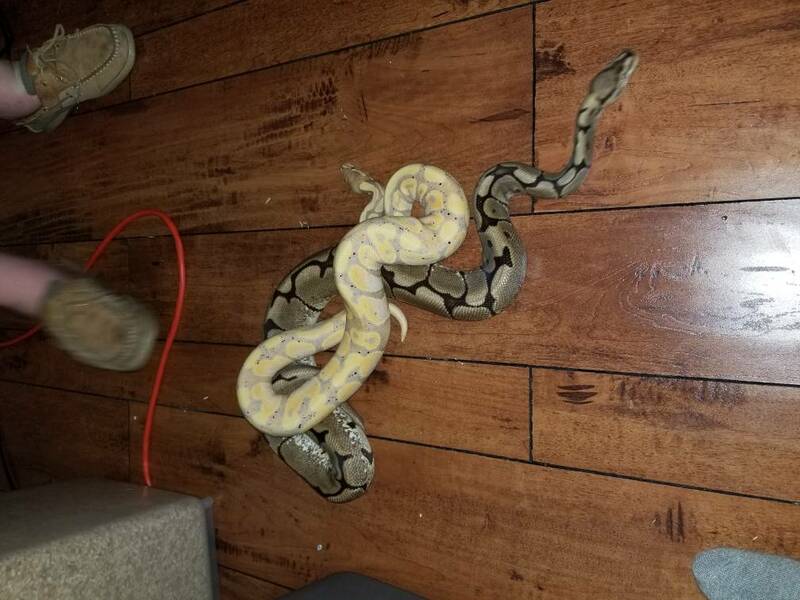 I started 2018 with 2 ball pythons...I added 8 more from July to December. Last edited by Dianne; 01-03-2019 at 09:49 PM. 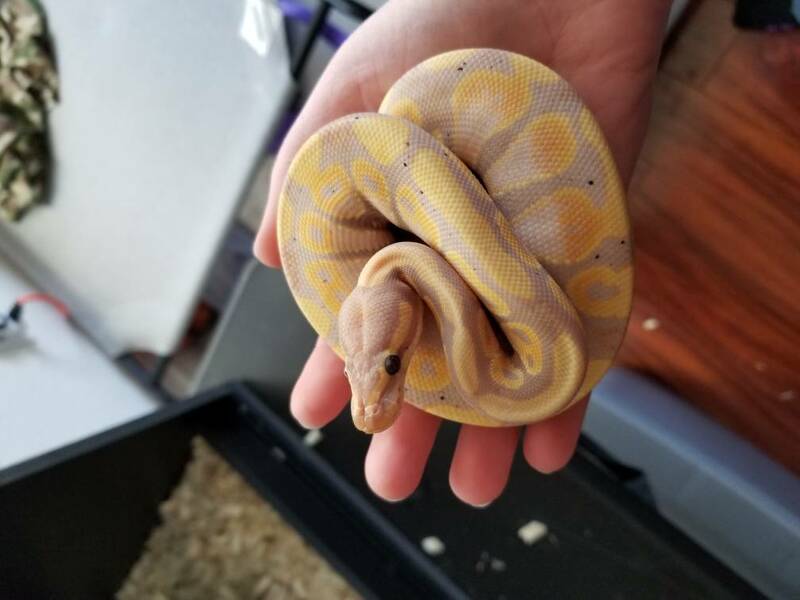 Our 2nd ball python! We almost didn't get another with how difficult of a feeder Obi started out as, but we did pick up a baby banana male. Unlike Obi, Vega was a great feeder from Day 1. 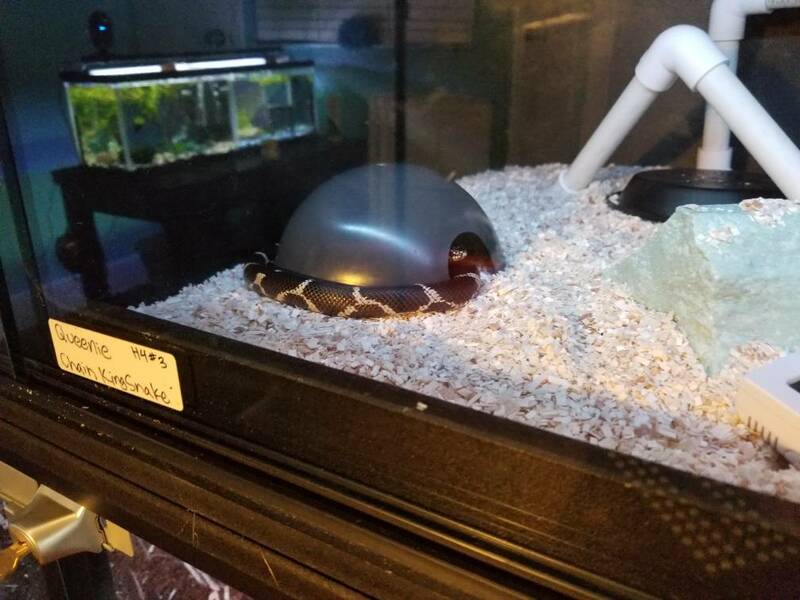 He switched from live our first try at home and swapped to rats a few months later with a total of 3 seconds hesitation. Very nice! Love the corn and the king, they are both gorgeous. And the spider is also very nice! Oh yeah, the banana is also very sharp. While Ash was AWOL, we picked up a few new pals. 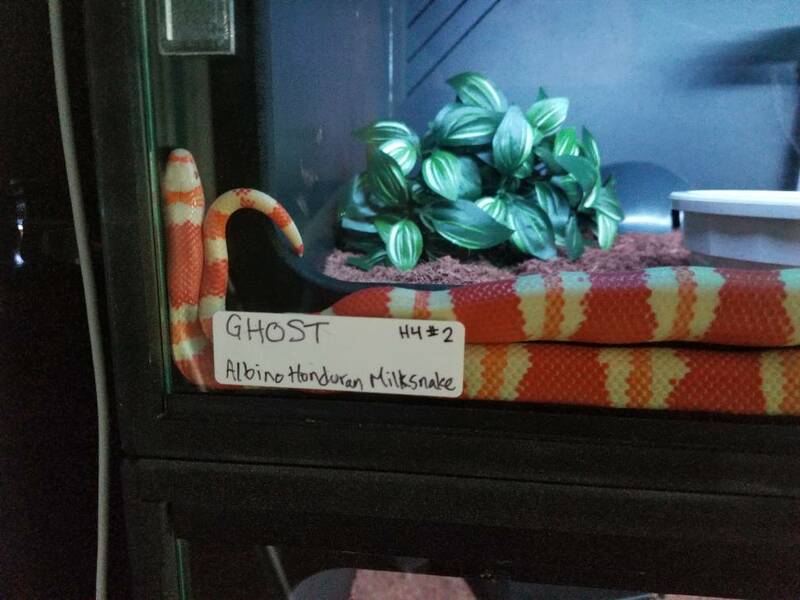 First, Ghost our albino honduran milk snake. 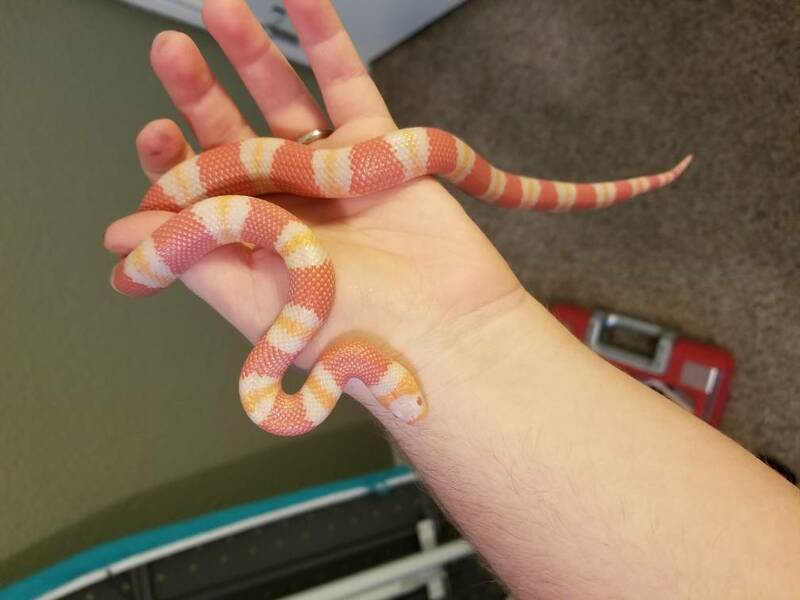 We didn't quite realize what shed would look like for an albino, so we just thought he was pink at first. 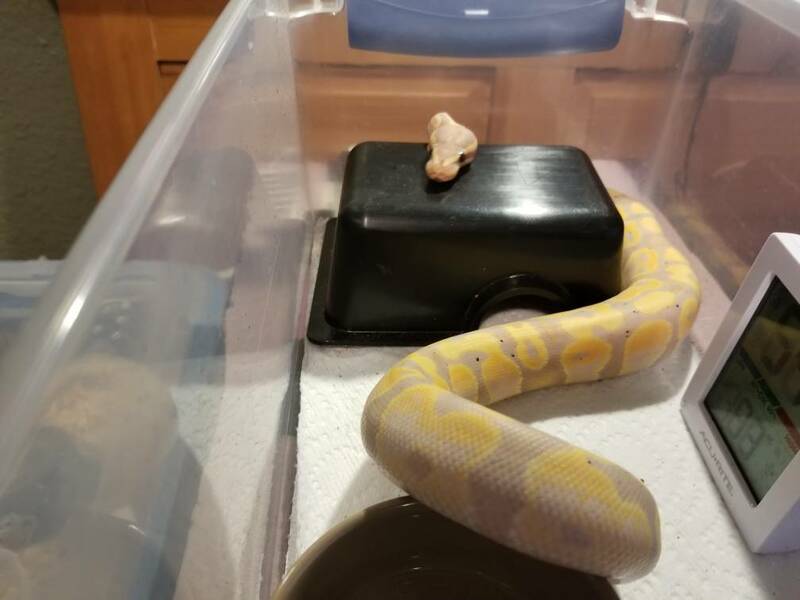 Ghost weighed 25 grams when we got him and has been a fantastic eater for us. 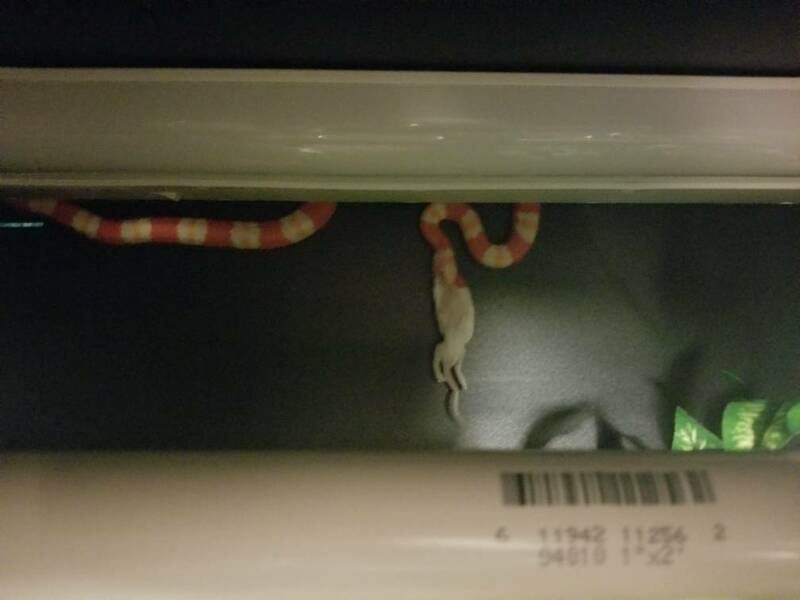 He never refuses meals, even in shed, and despite the reputation milk snakes have for being flighty and musky, he has always been a dream to handle. 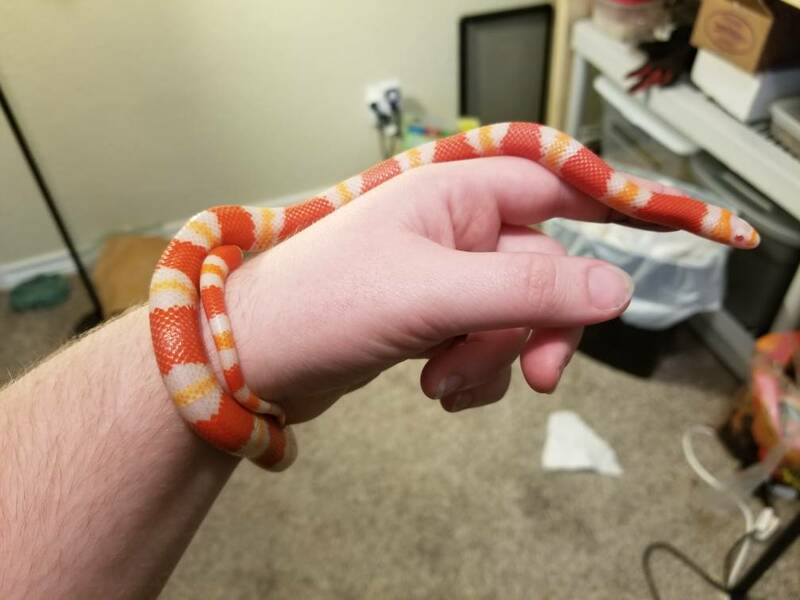 From day 1, he likes to wrap his tail around your wrist, hold on, and explore with the rest of him. 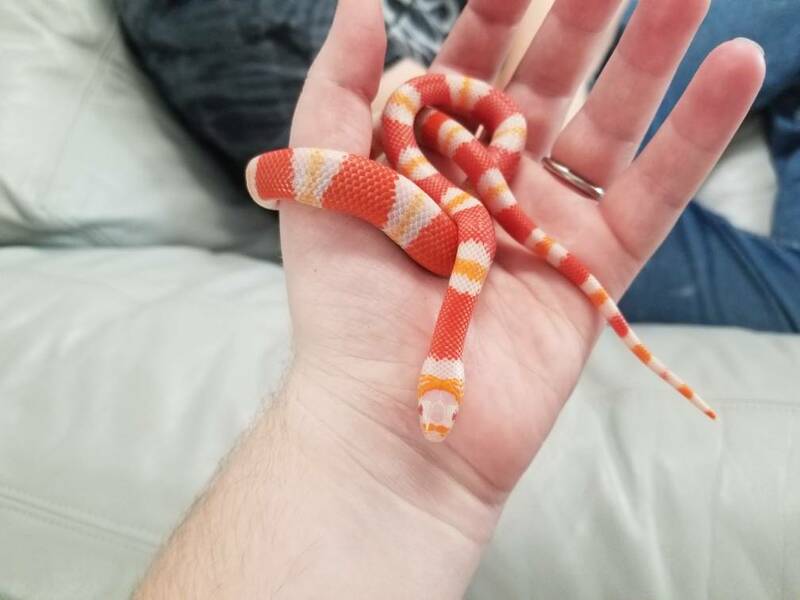 Now that he's bigger the only change is he wraps 2 to 3 times. 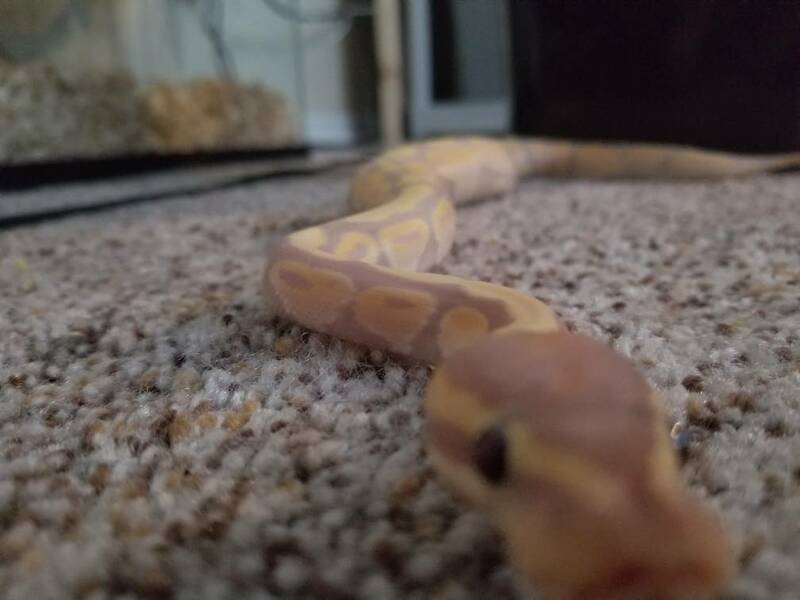 He's calm, very inquisitive, and has one of the longest tongues of all my snakes (on par with my boa even). 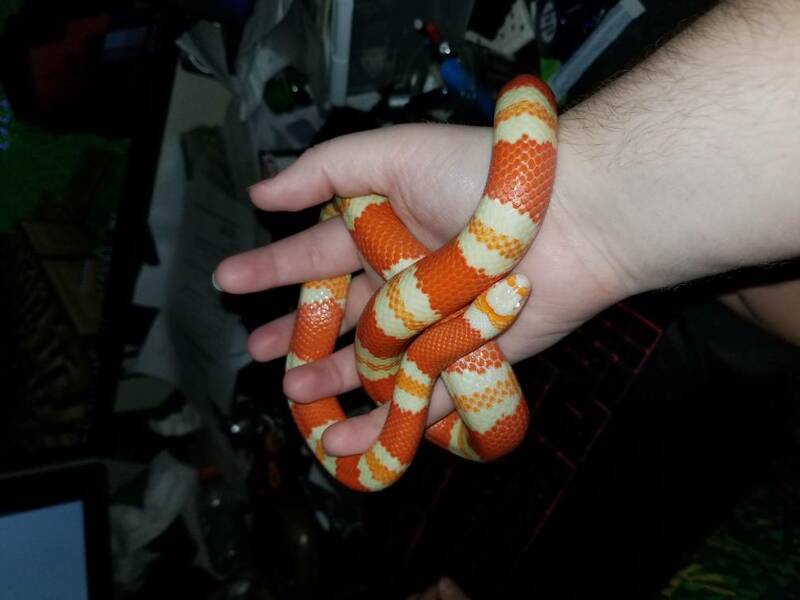 He likes exploring things as well, and unlike my others is usually prone to holding positions long enough for a picture and for him not to get into trouble before I can set the camera down. Until he outgrow the gap, he really enjoyed using it as a hide.. Funniest of all was a period where we had mounted a light fixture with a narrow gap behind it. He spent a solid week up there and would periodically go there until we swapped to LEDs. Even going so far as to strik, eat, and digest a meal up there once. The living in the light fixture is hilarious . Beautiful color and pattern. 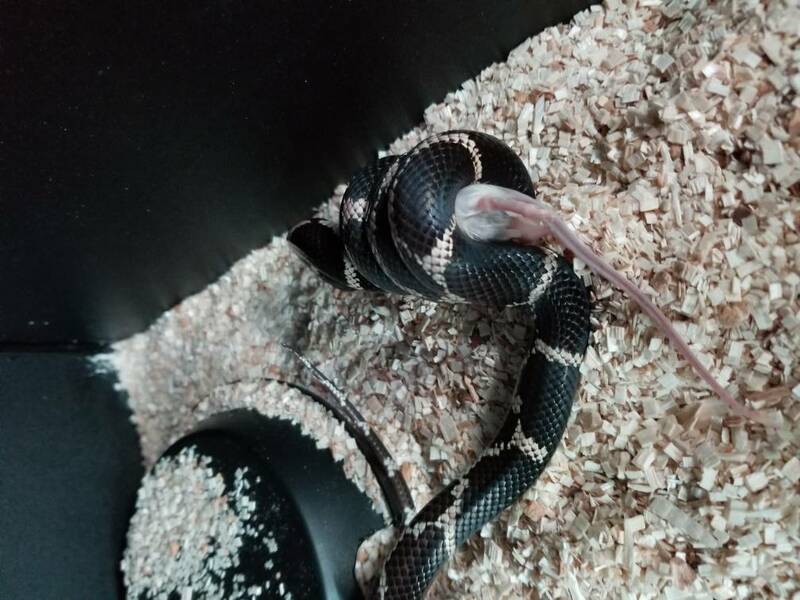 At the same time we got Ghost, we picked up a chain kingsnake also. As much as I love MBKs, having just a bit of pattern is nice too. 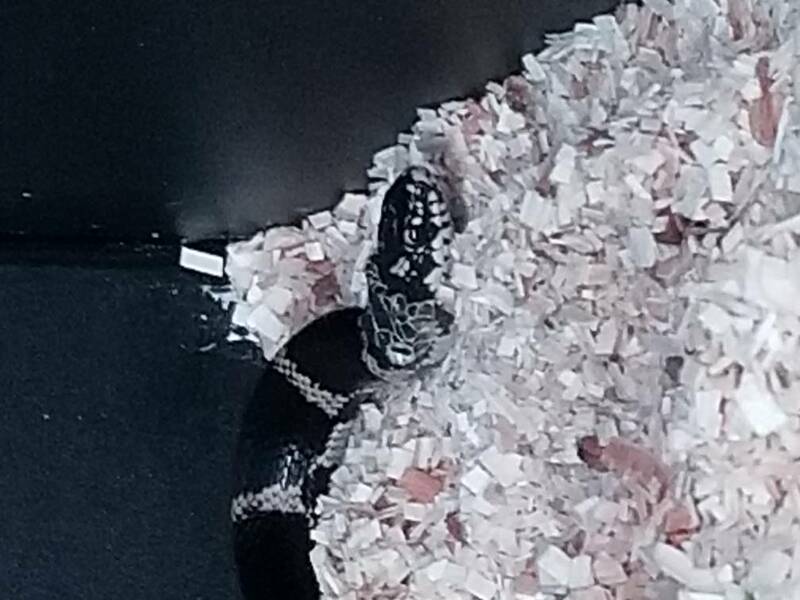 We picked up Queenie at 17 grams of sassy, defensive kingsnake. She was the polar opposite of Ash and from day 1; she was skittish, musked constantly, tail rattled... we didn't expect it to be honest, not after Ash had been so easy-going. For months after she started eating, we tried all of the various tactics, usually several weeks of each method before changing, to try and calm her down to no avail. Everything from a small tub + short handling every day except for digesting, handling not at all for several weeks/letting her gain some size, more burrowing substrate, and attempting handling until she acted calm/stopped musking... that last one was the biggest failure, as she would progress from musking to projectile poop/pee and would keep up her sprinting behavior mixed with complete stillness (waiting for us to let our guard down so she could leap for the floor) for up to 15 minutes by which point, we figured it was way too much stress to be helping her any. 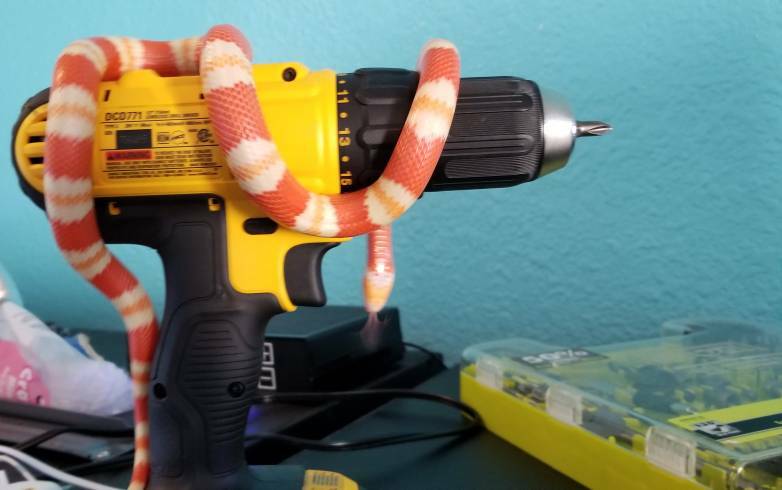 We even tried a tactic a corn snake breeder we know uses with babies to get them calmer at smaller sizes. Basically, cup them in your palms without an exit and wait till they go still as if in a hide, then give them 5 to 10 minutes it being warm/safe/smelling you and put them back. It almost worked for her, though only while it was dark, but she was a bit big for my hands to keep her contained by the time we heard this. 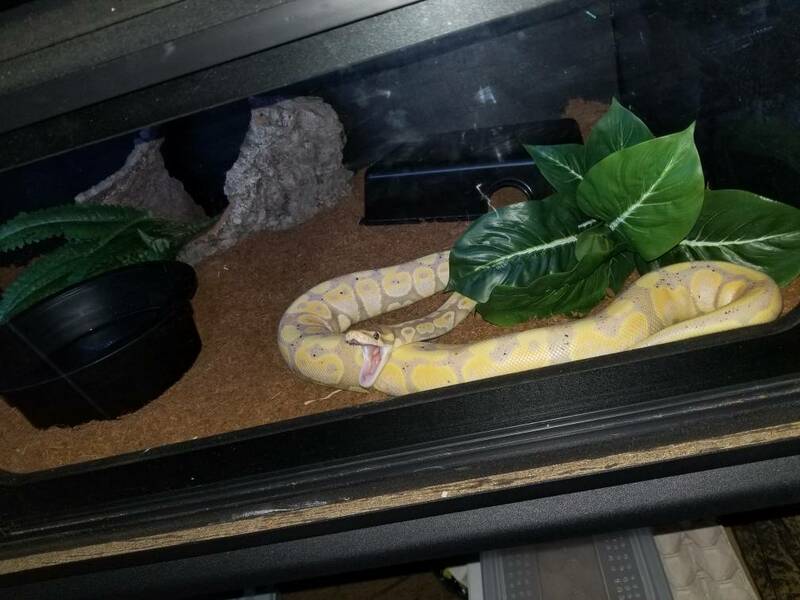 She is the only one of my snakes that I have caught shedding on camera, though she was mad the whole time because she could see me. In the last month, she has made more progress and is closer to 50/50 if I get musked. 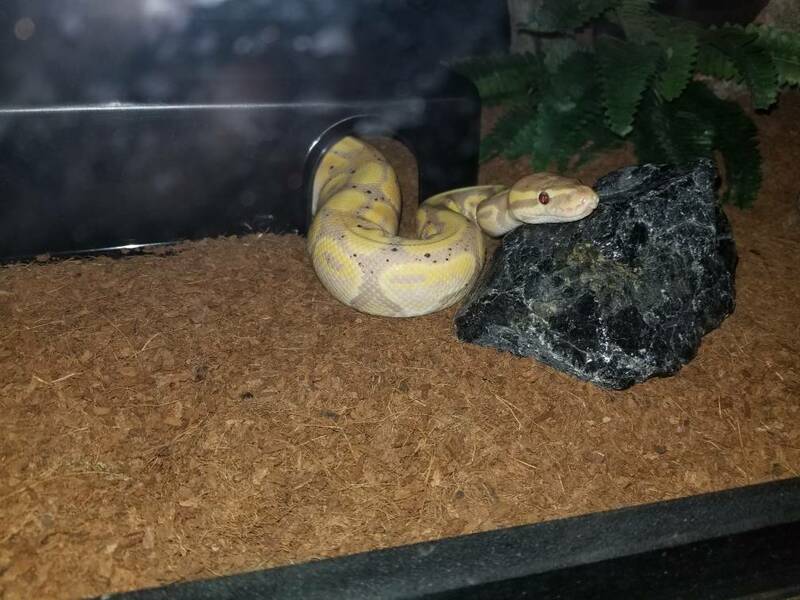 She is still erratic to handle, but I've gotten 3 weeks in a row without being musked, so I think she is finally getting big enough to be more confident. 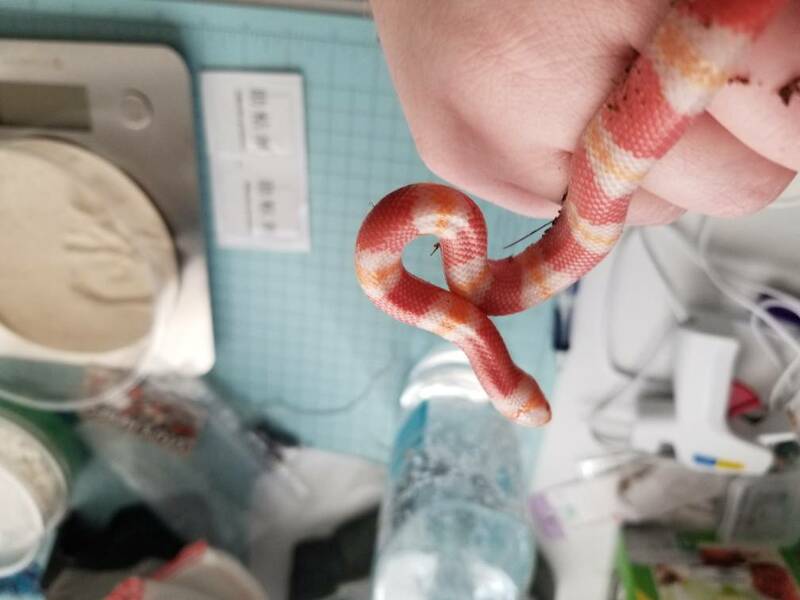 On the downside, if I'm not quick scooping her up, she will strike to bite in her cage and has gotten me once (barely bled at all). 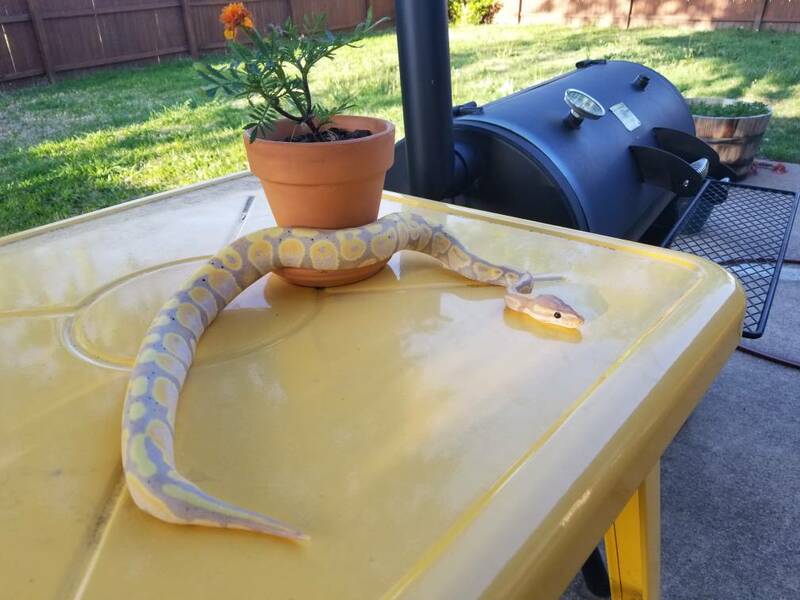 Outside, she is just skittish and prone to musking. 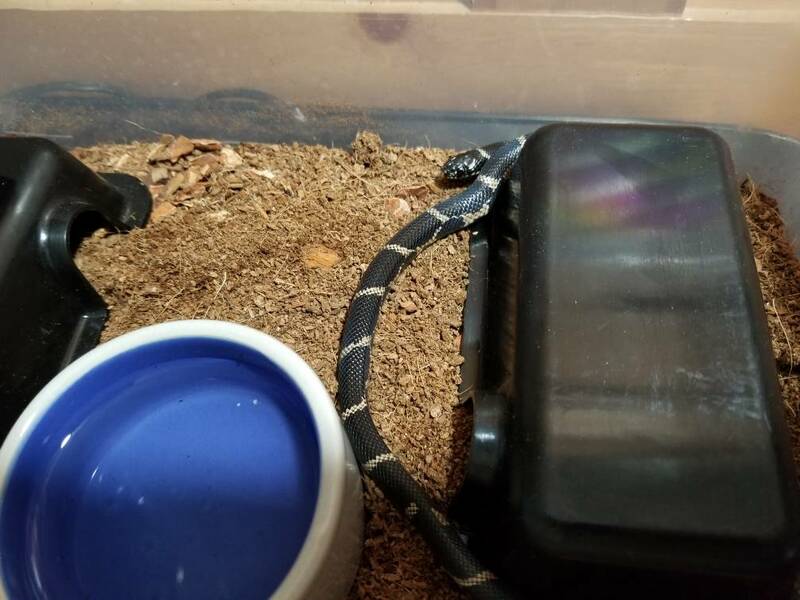 Despite her food response, both her and Ash shos no reaction to the smell of other snakes, even small ones, and have not ever bitten us thinking it was food. 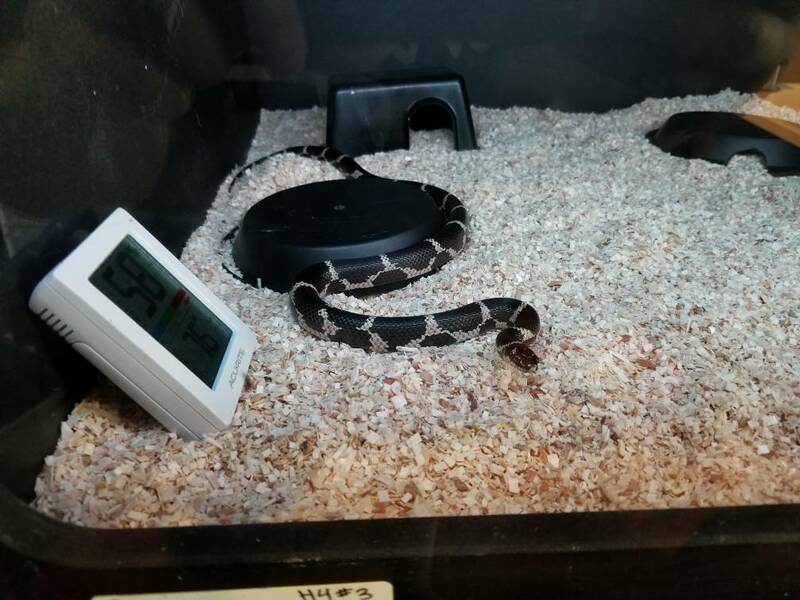 She's now approaching 150 grams, so there is some hope that her calming has to do with her size. We generally feed and handle once a week now, just to do a thorough spot clean and see how she is. 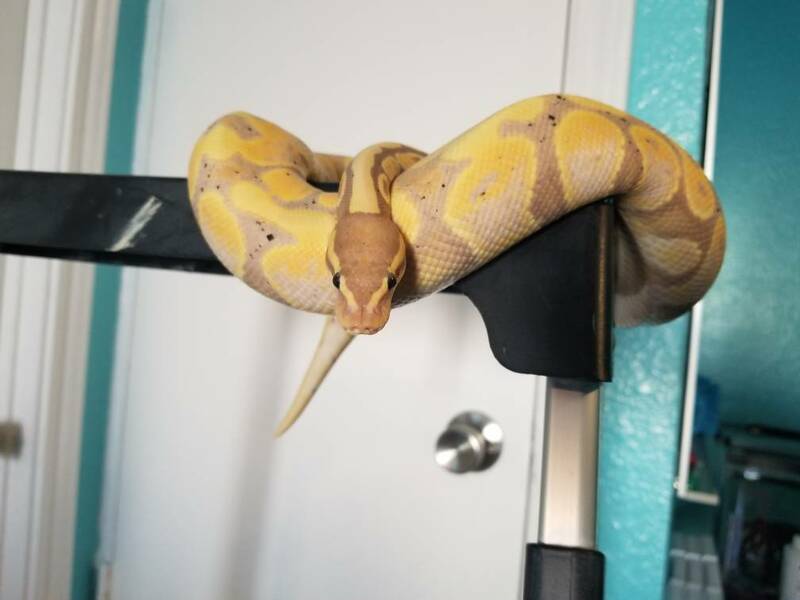 She is #1 for avoid like the plague when she is in shed though I usually find out she's going dull the hard way lol; very bitey and even more flighty and panicky than usual. Even if she is never good for handling, she'll have a home with us. Just not one to show to any visitors. 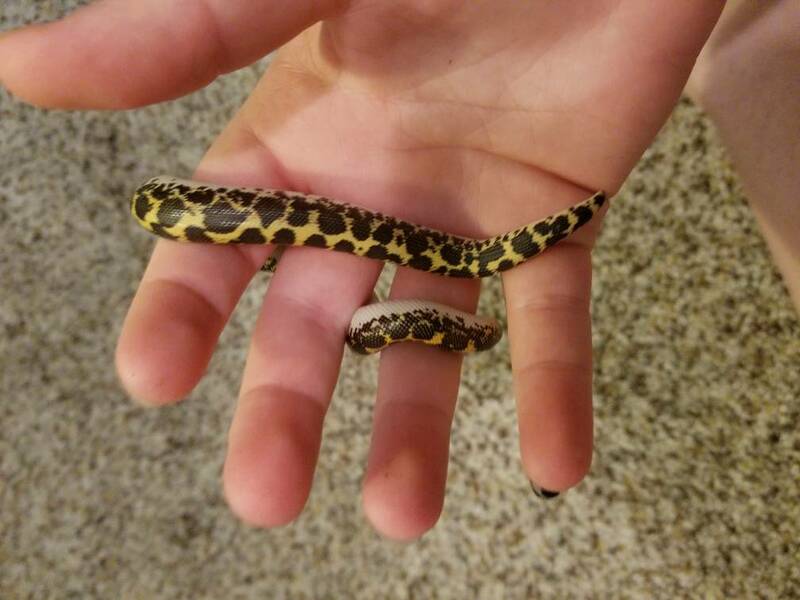 We've also got a Kenyan Sand Boa, Pixel. We are pretty sure she is female, thanks to Deb and visual sexing, but she wasn't sold with that listed. She's been good for us so far and is the most enjoyable visually empty-cage critter I could ask for. I love how her eyes will be looking different directions when seen from above. Always comical. She even likes to play video games! Last edited by pretends2bnormal; 01-04-2019 at 08:40 PM.